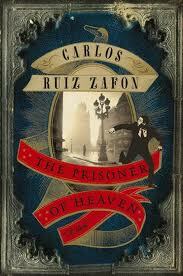 Carlos Ruiz Zafon’s The Prisoner of Heaven (Harper Collins) is a good escape about a great escape. Daniel Sempere is a bookseller in Barcelona when, on Christmas 1957, he is visited by a stranger who has information about his friend, Fermín Romero de Torres. Fermín then is forced to reveal a secret from his past life. He was imprisoned in the 1940s, where his cellmate, a writer named David Martín, had strange, delusional ramblings that earned him the nickname “The Prisoner of Heaven” – and may have ties to Daniel. Fermín feels trapped. He desperately wants to escape the horrendous conditions of the prison that, under the Franco dictatorship, is run by a governor with strong personal ambitions. His plan has the audacity of Andy Dufresne in Stephen King’s The Shawshank Redemption. Prisoner is the third in the Cemetery of Forgotten Books series, following 2004’s The Shadow of the Wind and 2009’s The Angel’s Game, although you don’t have to read them in order. I haven’t read the two previous books, and I didn’t feel lost. But I had high expectations for Heaven. Book bloggers on Twitter were buzzing about the book, apparently since Shadow is so good. Heaven doesn’t reach that high of a level, but it’s still a good read. 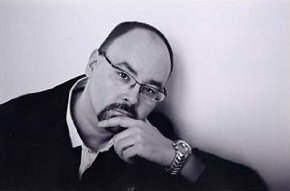 Carlos Ruiz Zafón is the author of six weeks, including several young adult novels. He lives in Barcelona and Los Angeles. You were expecting Dan Brown… man, that’s depressing. This is exquisitely written literature. If you can’t appreciate that, there’s no point in reading Zafon’s work just “for the plot”. Which, by the way, is infinitely better than anything by Dan Brown.